I go by the name of Konstrukto and hail from the netherlands. 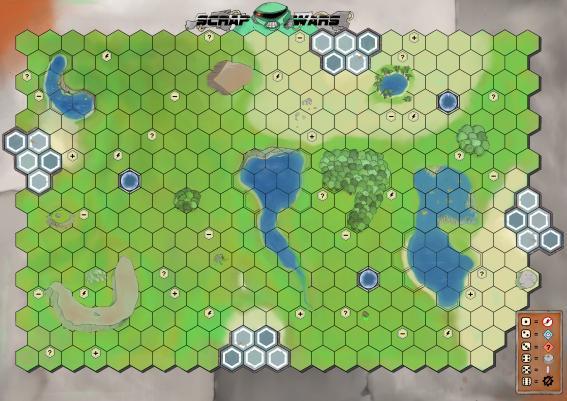 I'm the developer of a boardgame called 'Scrap Wars', or actually, that's the english translation because my game is originally in dutch and is called 'Schrootoorlog'. I have translated it to reach a broader audience, for testing purposes in this stage. In Scrap Wars robots fight against each other on a sizeable playing field. tactical advantages can be achieved with the destruction of all opposing units as the ultimate goal! 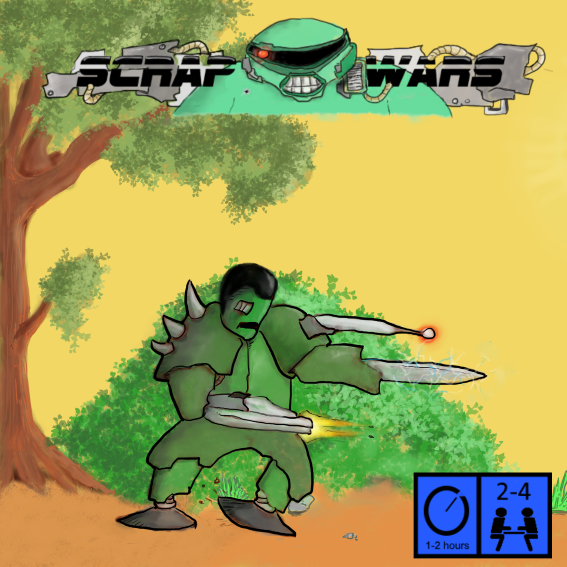 Featuring comical artwork from the hand of Arjen den Boer, and quite some humour, Scrap Wars distinguishes itself from other tactical games that feature robotic combat. Players may encounter cyborg zombies, canine helpers and taffy puddings among other things. Use them to your advantage and claim the battlefield for yourselves! This game is still in development in its physical form. We gladly release this digital version to the public, to test and to have fun with. It is available on steam workshop in both an english and a dutch version, it has a manual on a tablet ingame which you will need (the link is also available above). I'm looking for testers all the time, so I would be very pleased if people would like to try it some time. For more information shoot me a message! Last edited by strukto; 02-25-2019 at 05:02 PM. 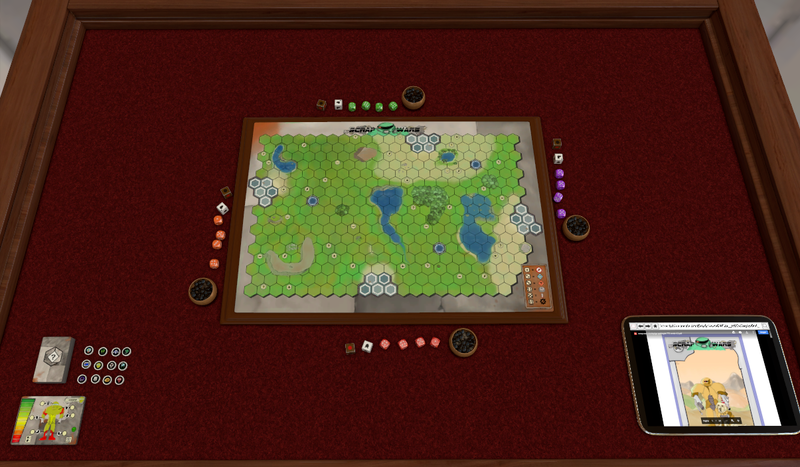 - new rule for chance cards added: "chance extravaganza"
- the physical game is in its final round of testing!